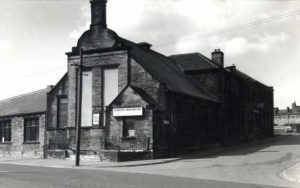 SRM has been serving the community in the centre of Bradford for over 125 years. The Church was started in 1889 and originally was a church plant that came out of the Methodist Church. Starting out as just a few cottages, over the years the building has evolved and developed to meet the needs of a growing church and for developing many different ministries. It has always had a clear focus on the Bible as God’s Word and an evangelical emphasis with special concern for the poor and the marginalised. In recent years we have been given a vision to see the construction of a new building. The intention is to provide adequate facilities for a growing congregation and more effective outreach to the immediate community and to the wider city of Bradford, in anticipation of the fulfillment of promises given to the leadership from God’s Word.